There may be negative traits that are common to many Filipinos, such as crab mentality (envy and insecurity), mañana habit (procrastination) and tardiness, that are hindering our country’s progress and human development index. But on the other side, we also have several positive traits that make us one of the most admirable people on Earth. The following good habits make the Filipinos great people and the Philippines a great country. Let us do our best to preserve them. 1. Hospitability. It’s one of the most popular traits of Filipinos. We are usually friendly and welcoming to our guests. 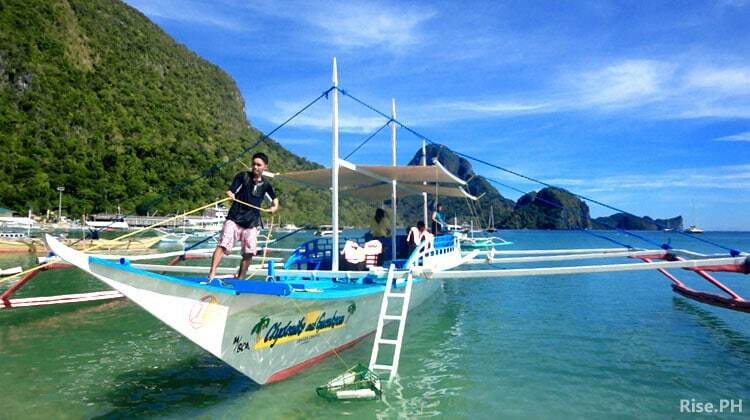 This Filipino attribute makes the Philippines one of the most favorite destinations by tourists who want to enjoy the beauty of our nature and the friendliness of our people, not to mention we can also understand and speak English. 2. Adaptability and resilience. Despite of all the calamities that struck our country, like the strong earthquake and Super Typhoon Yolanda (Haiyan) that devastated the central part of Visayas in 2013, Filipinos are persistent enough to get back on their feet, even without the solid help from the government. We can also adapt to any type of environment and mingle with any kind of people all over the world. 3. Resourcefulness and creativity. Filipinos are known for ingenuity. We are creative in many ways, whether it’s in art, music, science, technology and business. Some of our smartest countrymen can come up with a brilliant idea despite of poverty or lack of financial resources. We are also good in recycling trash and turn them into ingenious products. 4. Faithfulness. The Filipinos are one of the most faithful people in the world. Whatever our religion is, we remain faithful and we don’t lose hope for a better tomorrow. Our faithfulness and hopefulness keep us kind, positive, peaceful and determined to achieve our goals no matter how impossible they may seem. 5. Unity in bayanihan spirit. We are in close relationship with our neighbors. In barangays and most subdivisions, the people in the neighborhood know each other, talk each other, help each other, and protect each other. Our communities are organized. We help each other to make our fiestas, festivals and other events lively and colorful to make sure that our visitors will have a great experience. 6. Thriftiness. There may be Filipinos who are living beyond their means. But on the brighter side, there are also many Filipinos who are frugal. We shop wisely to save our money for future important uses. We are conscious on the price tag, discounts and quality of the products we buy to get the most out of our money. Filipino parents also do sacrifices like skipping the stuff they want to buy for themselves just to save their money to buy things that can make their children happy. 7. Politeness. Filipinos are courteous people. The children and young Filipinos will always use the words “po” and “opo” to show respect to someone who’s older or who’s in the higher position than them. We also do the “mano po” gesture (bringing the back of the hand of an elder to one’s forehead) as a sign of respect to our elders. Moreover, Filipino workers will always address their customers with “sir” or “ma’am” to show humility and honor to serve them. 8. Family-oriented. Filipinos are willing to make big sacrifices just to make sure that their loved ones will have a good life. Our parents will do anything just to give us a brighter future. They are even willing to work in a foreign soil just to achieve such goal. And in return, we study hard and even sacrifice our personal love life just to fulfill the dreams of our parents for us. 🙂 Furthermore, many Filipino breadwinners work extraordinarily hard just to earn money to support their family. 10. Jolliness and sense of humor. The Philippines is a country of smiles. Nothing can take away the humor and jolliness of many Filipinos… not even super typhoon Yolanda – the strongest recorded typhoon that made a landfall. Despite of the tragedy, Yolanda survivors can still be seen smiling, positive and hopeful to rebuild their lives even better. The Filipino humor is evident everywhere, from comedy films, TV shows, to every Filipino you will meet. 11. Discretion and dignity. Perhaps many of our politicians don’t have a delicadeza. But our people, especially the Filipinas, still observe delicadeza. Despite of the growing number of Filipinos who are giving up their delicadeza, there are still many Filipinos who always think twice before they make a decision that can affect their dignity and honor. Thanks to their parents who raised them up with high moral standards. 12. Gratefulness. Aside from being hospitable, Filipinos are also thankful. We don’t forget anyone who helped us, whether he (she) is a Filipino or not. 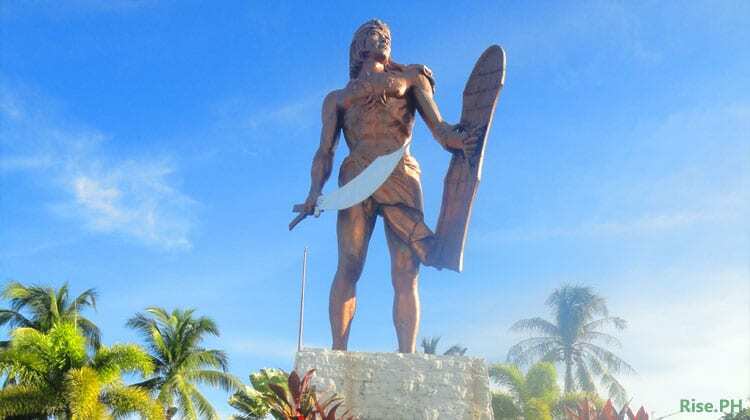 We even build monuments to show our utmost respect and gratitude to our heroes and other foreign personalities who helped the Filipino people. We show our warmest gratitude to the international communities who helped us rebuild our lives after Haiyan and other disasters struck us. 13. Honesty and commitment. 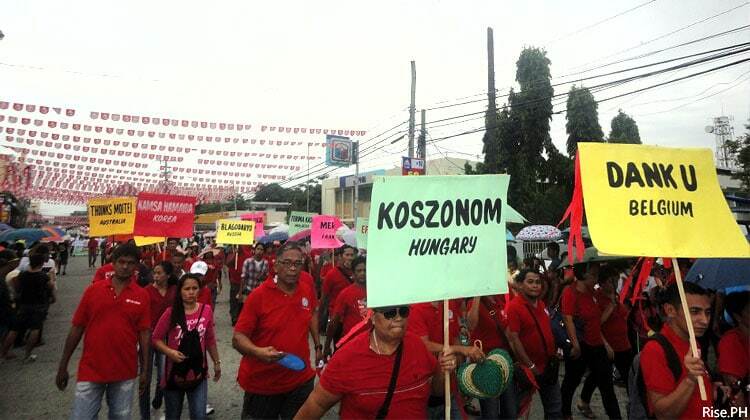 Perhaps “palabra de honor” is not evident among our politicians, but it’s still evident among the common Filipinos. When we make a promise, we try our best to fulfill that promise even if it will undermine ourselves. For us, to fulfill a promise to others is a great self fulfillment. We are also candor. What we see in you, we will tell you frankly. 14. Helpfulness. Finally, even if the Philippines is not a big and rich country, we still grant aids to other countries in need. We also send our brave soldiers to protect other nations from threats and to preserve world peace. Originally, we are rich in good values, morals, attitudes and habits. They are the legacies that our ancestors have left us. Maybe some of these qualities are already fading and becoming rare among Filipinos. But we can still do something to preserve them. Let’s protect our moral treasures! Let’s start preserving them within ourselves. Then let’s serve as a model of these good habits to inspire our countrymen to do the same. Did I miss something? What other great Filipino habits can you add to the list above? Feel free to share them in the comments below. Yeah, I would agree with most of the points above but politeness goes beyond “po” and “apo”. E.g filipinos have a bad habit of pushing in line in a queue to be served first without thought for others who have been waiting before them. Faithfulness? It depends in what context you use the word. If it relates to a relationship, forget it…filipino men are known not only to be unfaithful, but to leave their partner in the lurch as soon as they discover she’s pregnant. I’ve witnessed this so many times it makes me angry. Honest? seriously? This surely must be a misprint. Sure, the politicians are known to be dishonest and that’s a fact, but in my dealings with filipinos over 21 years, I would say filipinos are among the most dishonest people I have encountered and I’m talking through experiences, experiences too numerous to mention here. . Sorry if I have ruffled a few feathers and no doubt a few readers will retaliate with a few unkind words, but if the truth hurts then go right ahead. Thank you for sharing your honest experiences. It will help us determine where we can improve more. Indeed there are Filipinos who are dishonest, especially those who cling on the greed of money. But if you will visit some of our provinces and countryside where life is just simple, you will meet Filipinos who are honest, jolly and are willing to help you. 🙂 The purpose of this article is to identify the natural good traits of Filipinos. And although some of them are maybe fading now and being corrupted by the current situation, our aim is to preserve them and protect them from further dwindling. Thanks for your reply Victorino, I am married to a filipina and my children are growing up in the Philippines, in the province of Leyte, Baybay to be exact. Whilst living there for two years I met some wonderful people, people who will give you their time, their kindly advice and assistance whenever they can, but when my wife and I set up business there, that’s when the rot set in. Just about everyone involved, including a former vice mayor whom we gave our trust to as the engineer of our project found ways to syphon money into their own pockets. An attorney whom we paid to handle our titling kept the money and still no title after 3 years, we are now taking legal action against him. When we purchased another parcel of land, another attorney’s secretary ran off with our money never to be seen again. A councillor who tried to help us obtain cheaper building materials overcharged us and benefited by getting commission from the supplier, the list goes on. It just seems to me that corruption is so much ingrained in filipino society that there is a belief that it’s a normal way of life. You even have a President who refuses to pass the FOI bill for fear that corruption in government will be transparent. Let’s hope the situation changes with a change of government, but it will be a very long hard battle. Have a nice day. I’m sorry to hear about your bad experiences. Indeed there’s something wrong with our government/politics from national to the local level. We cannot deny it. Often, the ordinary people are even more trustworthy than those who are in power and who are abusing their power. I’m also from Leyte – Tacloban. We share the same sentiments when it comes to doing business in the Philippines. We are also suffering from red tape. Let’s just all hope that the FOI Bill be enacted, and more deserving leaders would be elected. Thank you. You just found and transacted with the ill mannered, self centered and greedy Filipino. However, I hope they are still outnumbered by a typical Filipino who still possess the good trait of a Filipino. This might kill me, but I take no shame in saying this: Discretion? If you take a look at Facebook, every single post in the news has comments in the hundreds from the netizens and some have levels of ridiculousness beyond understanding. Some people just want to say something, pretty much like Americans. If you want to learn more about “discretion” and “ethics”, especially when it comes to the use of the internet and business transactions, you’re welcome to sit in one of my classes. Hi Prof Kevin. Thank you for your offer. That’s generous of you. I agree. I always roam around the Internet, and indeed I can observe a lot of immature and hasty comments from Filipino netizens. But I believe we cannot judge all of the Filipinos by just basing on those comments. Of course the discreet Filipinos will not choose to make comments at all, thus, we cannot read any comments from them. Also, the total population of Filipinos who are using social media doesn’t even exceed 50% if I am not mistaken. In the 2011 statistics, only 1/3 of Filipinos had access to the Internet. I’m not just sure today. These are not habits. These are traits. Habits are what you do repeatedly. Traits are characteristics or attributes of a person or people. We Filipinoes may not have the towering height but our souls and heart are at par with any human being found on this planet. The only farcical nowadays is that our brother chineses are fond of bullying us yet we tend to be resillient and patience on their flagrant ranting over us. But to all of you guys please leave us alone you may be the richest nation now but we are the most resourceful of all creatures. We know how to circumvent all things to our advantage most of time. Having worked with Filipinos, this article can’t be farther from the truth. BTW, why would you write an article about Filipinos to Filipinos? Sounds like you’re looking for some kind of validation. From my experience, Filipinos are some of the most untrustworthy people on earth. Their clannish mentality makes it hard for them to forge sincere friendship with others. If you’re their friend and a foreigner, they’re nice to you until you so much as have a friction with their countrymen even though they have never met them. They are selfish opportunists who don’t hesitate to take advantage of a situation even if it means having to compromise their friendship. They will go on a rambling spree in tagalog knowing full well you’re the only one in the room who doesn’t speak tagalog and might feel left out. Heck they even talk across your face to someone on the other side, in tagalog. They’re crude, uncouth, loud and annoying at times. These are Filipinos who work overseas. Don’t give me BS like they’re a minority or real Filipinos in Philippines are nice. You’re ambassadors to your country and to your people.. Each and everyone of you. What you portray outside is reflective of what goes on domestically. Do not define a nation by what some (or most if you want) of its people. Then, you will also define the ones who are not. I’m not here to defend us Filipinos. I just wanted to tell you that the race, nationality, religion, or even the gender of someone can never be used to judge someone easily. So you met crude, uncouth, loud, and annoying Filipinos? And just because you met Filipinos like them then anyone else as long as they are Filipinos, were also loud? Oh sure, because Filipinos are the only ones who can be crude and uncouth eh? Oh and Filipinos are the only ones that can be selfish opportunists? Everyone can be one. And it is never because of their nationality. Sorry for what they have done to you but I wanted to tell you this, have a nice day. It seems like you’re having a bad day when you commented this and this is four months ago. Sorry for the wrong grammar. Oh, and I won’t give you bs about how Filipinos who work overseas are just a minority. I believe that it’s bs too. But it’s not because they’re Filipino. It’s because they’re people with human nature. Wait, did it make sense? XD Everyone has bad things in them. One simply can’t be purely good or purely evil.